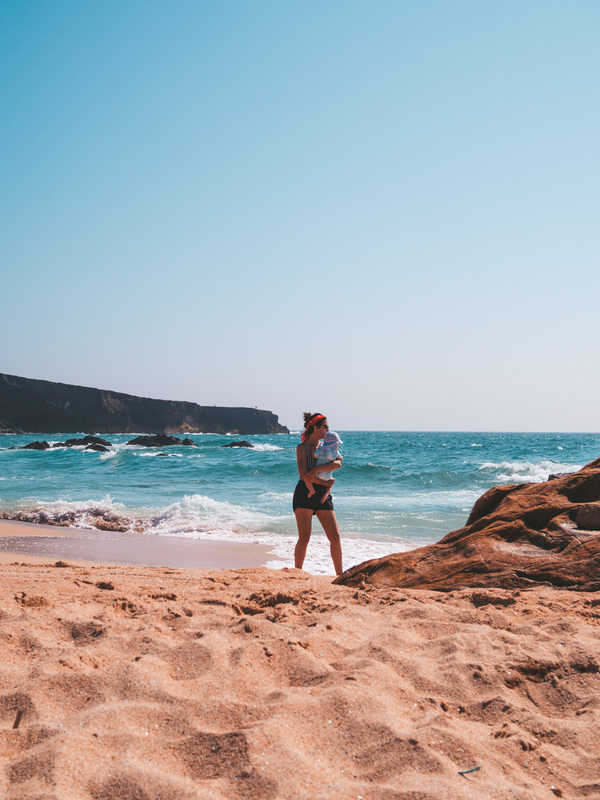 Last week I shared some photos of our beach day at the beautiful Praia de Odeceixe, and this week I have another picture perfect Portuguese hidden gem to show you. 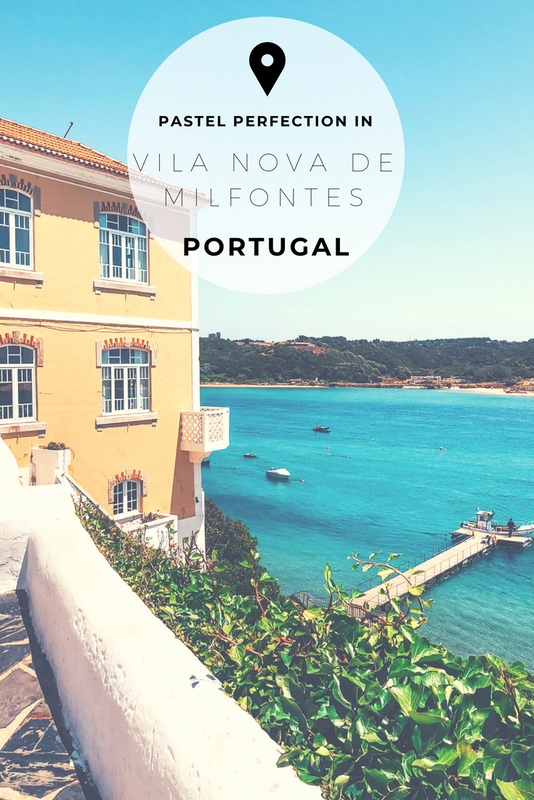 Vila Nova de Milfontes (how pretty does that sound?) 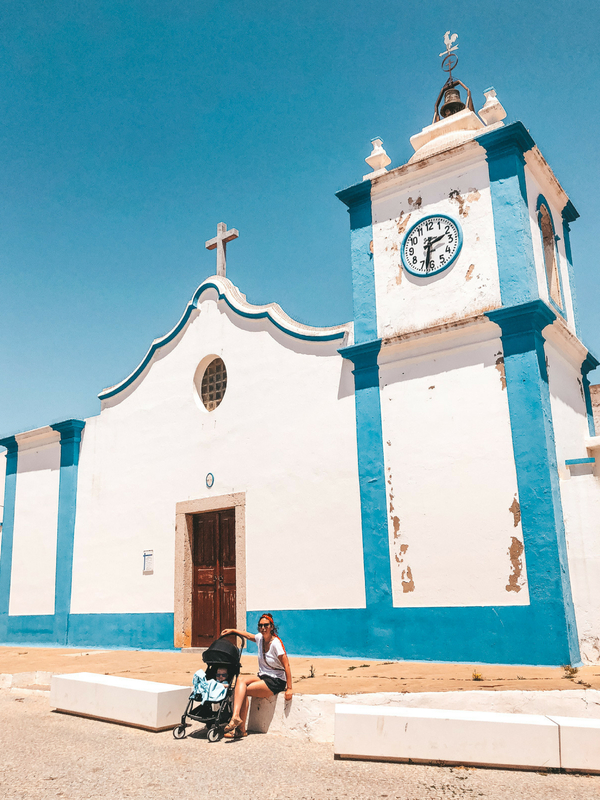 lies 40 km north of Odeceixe, and is the perfect stop to break up your Algarve-Lisbon road trip. This lovely town in the Alentejo region was tipped to me by someone on Instagram: gotta love the gram for this sort of stuff! We visited in the middle of the day and I think we only saw a handful of locals just hanging about in this ridiculously adorable sleepy town. Mind you: it was early June, so it might be different come high season. The cobbled streets and the soft colors on the houses are every photographer’s and pastel lover’s dream come true. Since I sort of fall in both of those categories I could’ve easily spent a couple of days in this place. So do I have any tips? 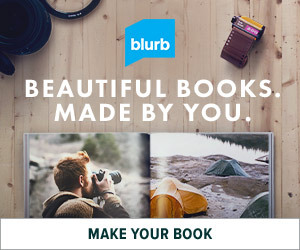 Uhm yes and no. Just get lost in the alleys and admire the cute and colorful houses. 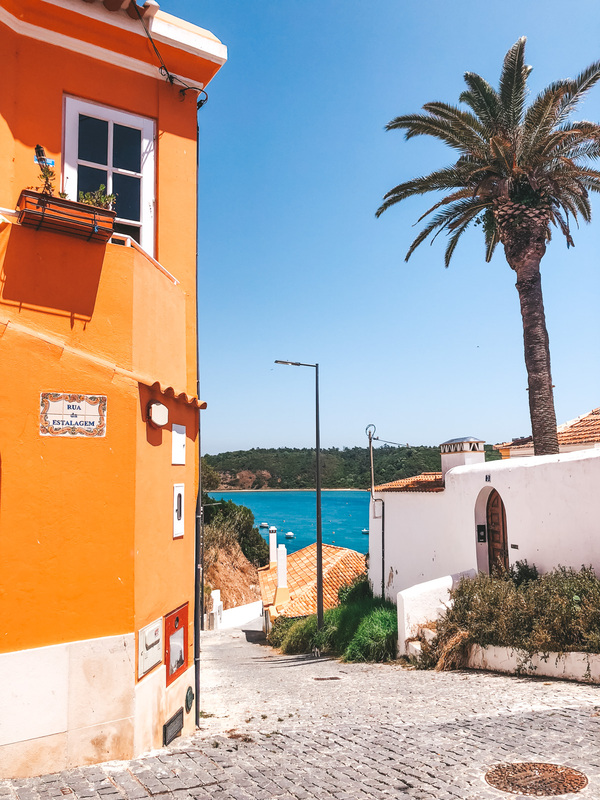 Then have lunch at one of the restaurants in town (check Tasca do Celso), before you head out to the beach for a little siesta. 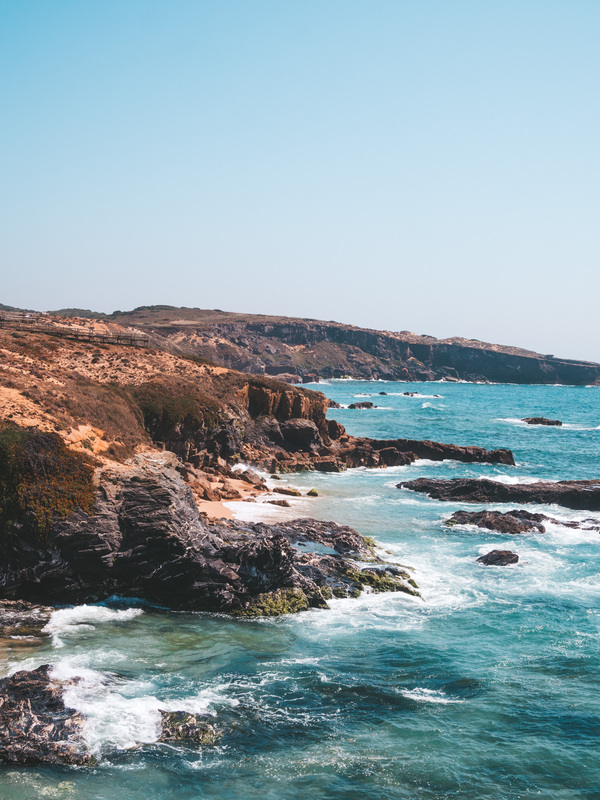 Vila Nova de Milfontes has a lot of amazing beaches. Praia da Franquia is pretty much in town and is a nice sheltered beach; on the other side there’s Praia do Farol. Both are perfect for families. If you’re into abandoned shipwrecks (me!) then you should head to Praia do Patacho, but with its pebbled beach it’s not really a decent option for soft sand lovers (also me). 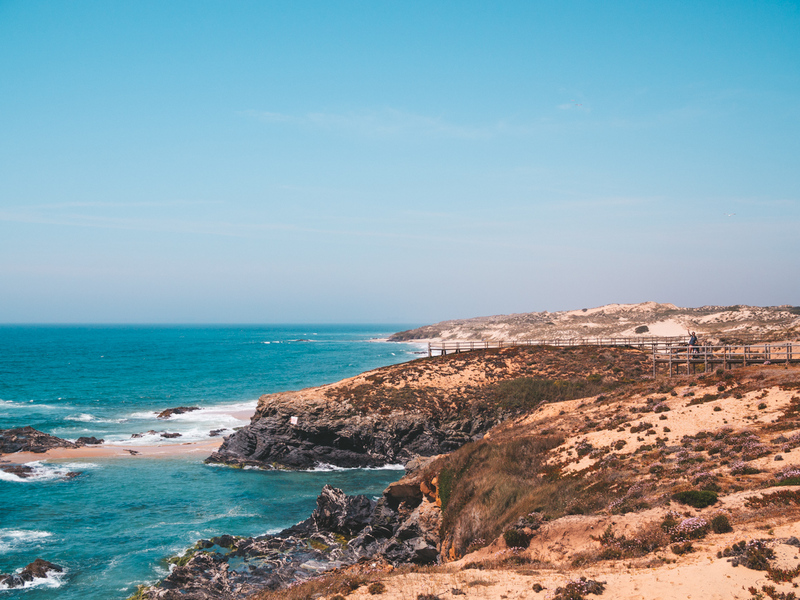 But the most beautiful praia of them all is definitely Praia do Malhão – 5 km north of Vila Nova de Milfontes. 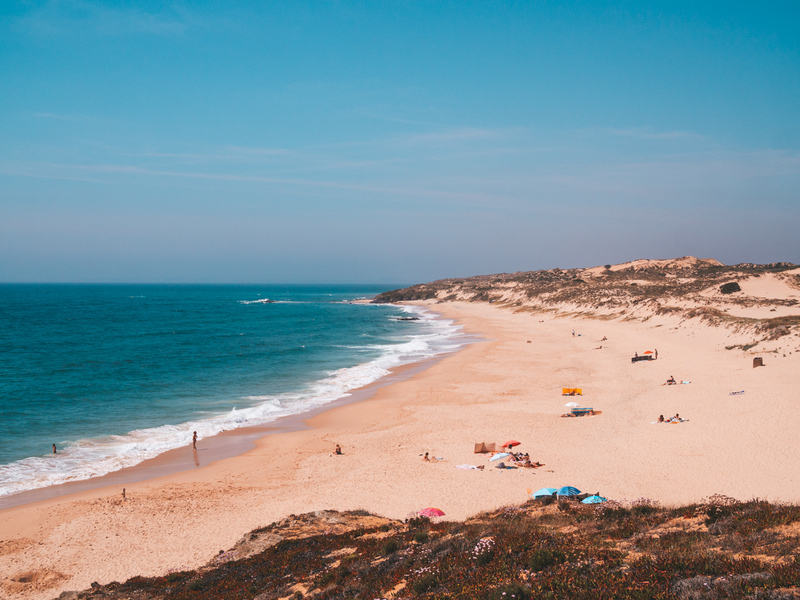 Praia do Malhão is set within the Southwest Alentejo Natural Park meaning both the beach ánd its surroundings are breathtaking, plus there are no buildings whatsoever. The beach is wide and open and goes on for what seems like kilometers. There are rugged cliffs and big rocks, providing shelter from the wind. There’s also a beautiful wooden boardwalk from where you’ll have an amazing view over the area. Spotted: cute baby and waving husband. Take one of the stairs leading down to the beach and settle in for a lazy afternoon. Or, if your little one is as restless as ours, you can play in the incoming waves (beware: strong current). Just bring your own snacks and drinks because there are basically no facilities. Although we did this stretch in a day, you can easily make it a multi-day road trip. 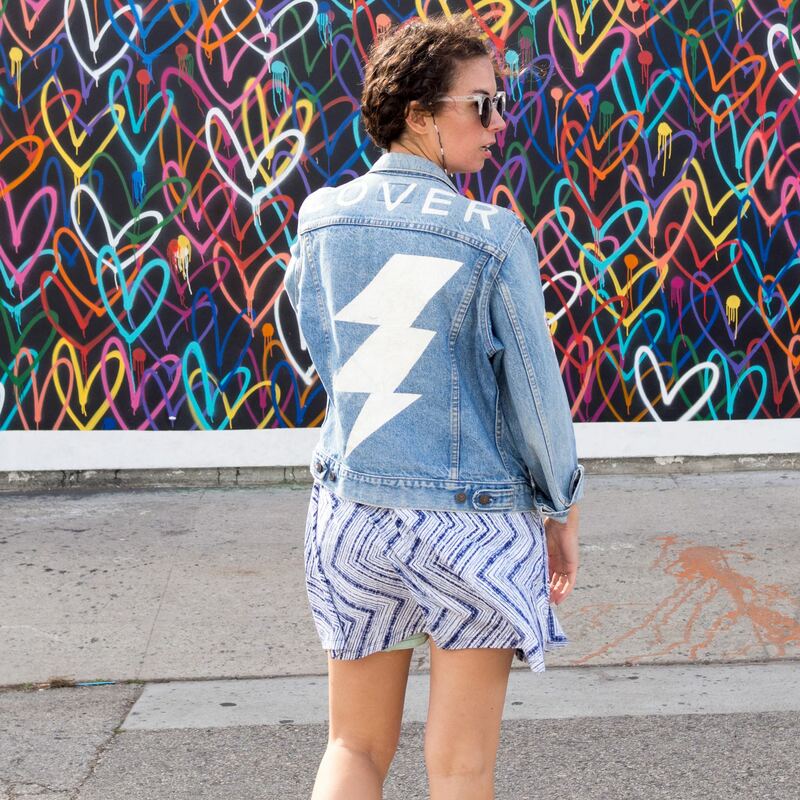 Just add these stops to your itinerary (a special thanks to @le_andraa). 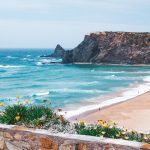 The adorable town of Porto Covo and nearby beaches: Praia de São Torpes (a popular surf spot) or Praia da Ilha. 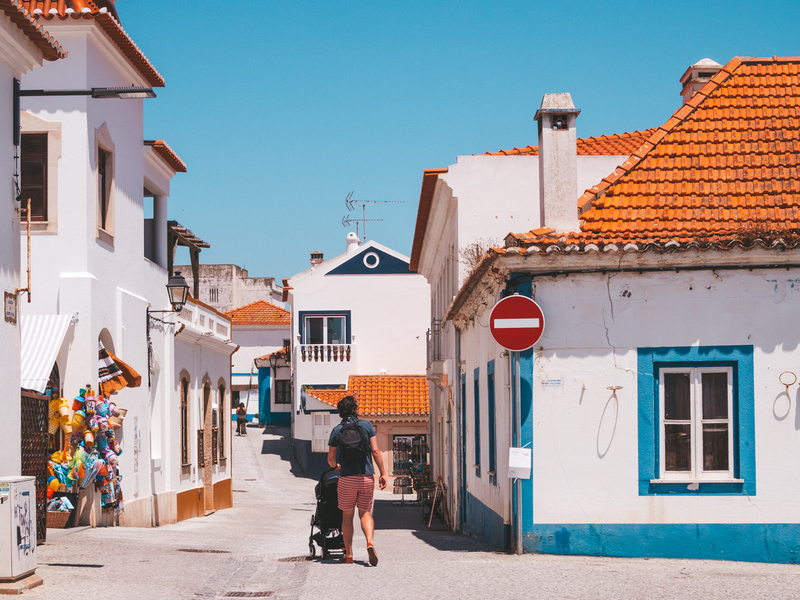 A little bit more inland and roughly halfway between Odeceixe and Vila Nova de Milfontes you can find the cute village of São Teotónio. 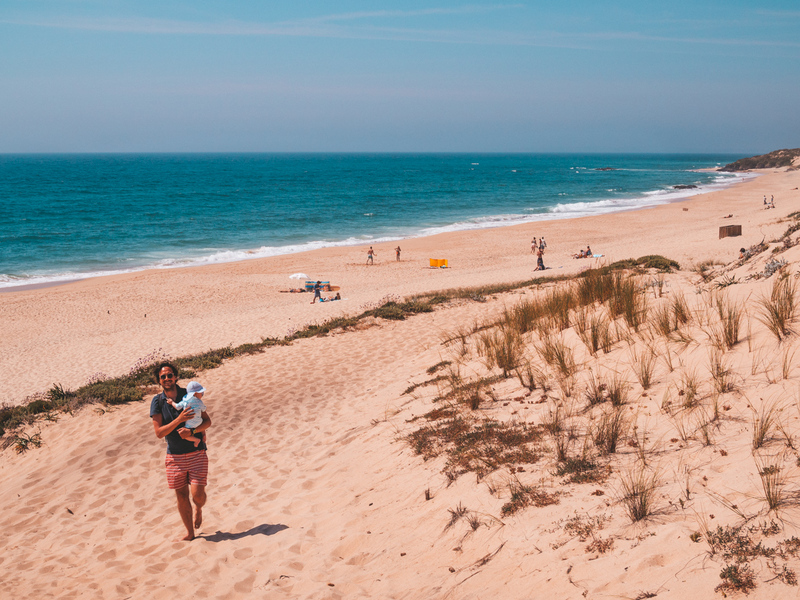 Comporta, another beautiful beach destination in Alentejo. Don’t take my word for it: the Royal Family of Monaco supposedly comes here every summer. The Tróia Peninsula just under Lisbon is so extremely beautiful and completely different. 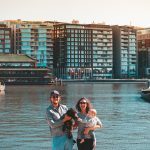 You can catch a ferry to Setúbal, and yes you can bring your rental car, which is what we did (it’s a road trip after all!). 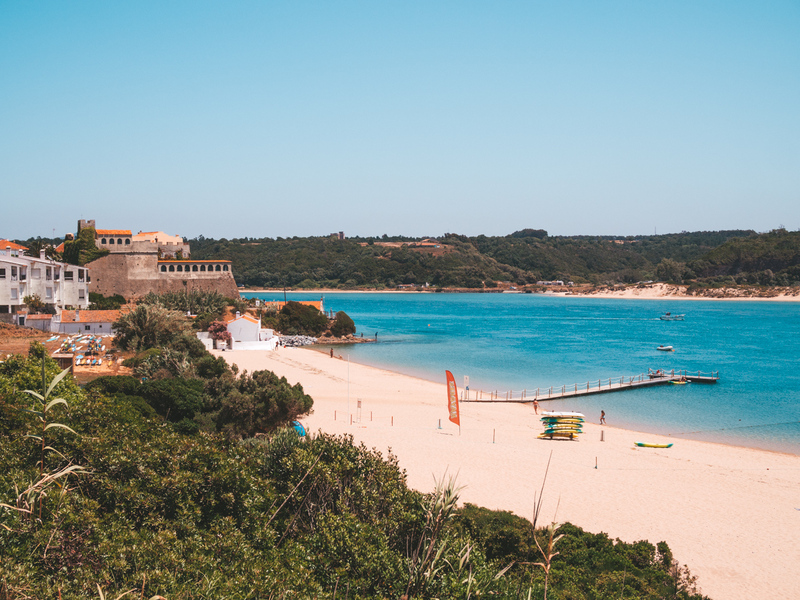 From Setúbal it’s a short drive to Arrábida Natural Park, where you can find some of the best beaches near Lisbon. Stay tuned for more Portugal (spoiler alert: all things tiles in Lisbon & luxury hotel life in the Algarve)!